So you are using OneNote as your primary note taking tool? Without structure you might lose track of all your notes. This session is about how to get structured using OneNote to dump all your thoughts, ideas, emails and notes that are either actionable or something you want to find later and use it as the only task scheduling tool as well. MVP Ståle Hansen shows you five easy steps to get started with a robust framework from using sections correct, your mobile to take notes on the go, and the Pomodoro Technique to prioritize and induce flow in a busy workday. The magic is to collect all information in one section regardless of platform, the collection section. Join this practical session to jumpstart getting structured with OneNote. 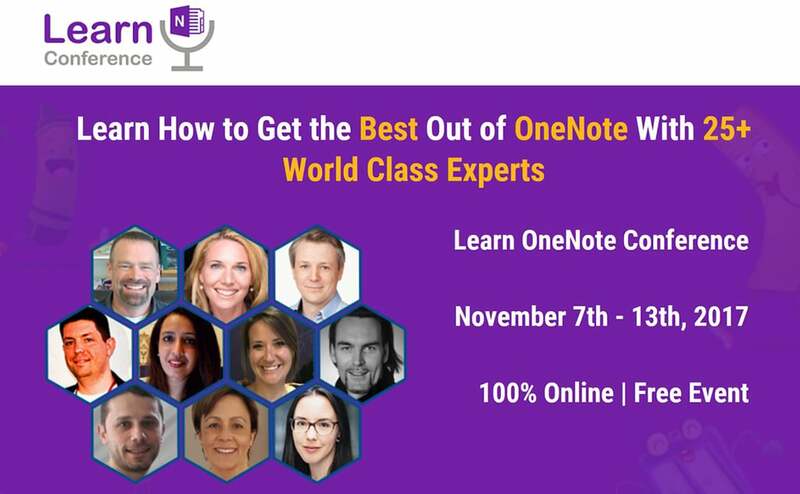 Hi there, thank you for checking out this free OneNote event. My name is Jared DeCamp, and I am a OneNote fan just like you. I started using OneNote in 2013, and it is now a part of my every day life at work and at home. Last year, I put together the first online OneNote conference and was amazed by the response of the OneNote speakers and community. More than 4,000 people signed up to participate, 21 speakers shared their best work, and attendees from all over the world became new friends. Over the past year, I have been at the OneNote drawing board, thinking and dreaming of ways to make this annual online conference even better. I’m happy to share with you the results of the hard work put in by the speakers and everyone involved to make this happen. Please feel free to reach out to me at anytime with questions, comments and feedback at jared@classandoffice.com. Remember, I am not, nor is the Learn OneNote Conference, officially affiliated with Microsoft. All the thoughts and materials on this page and within the conference are my own or the respective speakers. I’m just a big time fan trying to spread the good word of OneNote and earn a living in the process.